I’ll never forget the bitterly cold and windy morning on Saturday, January 4th, 2014. However, the weather was unable to deter the over five hundred friends, family and constituents who packed the auditorium of P.S. 169 for my Inauguration and swearing-in ceremony. The celebration was an overwhelming affirmation of my commitment to bring every federal, state & local leader to our district and to unite our cultural, ethnic, civic, and neighborhood group as one proud community for the whole city to see. I look back on this day fondly as the first step toward what was an amazing first year in office! It has been an honor and privilege to serve as your Council Member and it is hard to believe my first year in office has come to a close! We have accomplished so much during our first year in office, and I am excited for what we will get done for Northeast Queens and New York City. On June 27th, the New York City Council passed the fiscal budget for 2015. This budget was significant on many fronts as our children, seniors, schools, cultural institutions and many new initiatives were included and protected in the $75 billion budget. However, for residents of District 19, history was made. Council Member Vallone secured over 6.7 million dollars for much needed capital and expense projects throughout his communities. To put this year’s budget in perspective, the amount is triple that received from the previous Council Member Dan Halloran (2.2 million). This increase in funding will allow Council Member Vallone to provide nearly three million for his district’s schools and over one million each to both libraries and parks in his district. “I was determined to protect, preserve and enhance our students’ futures,” said Council Member Vallone. “Every school within my district will receive at least $50,000 with many schools receiving additional capital funding for critical upgrades.” Two such allocations include five hundred thousand dollars for new auditoriums at both P.S. 32 and P.S. 184. Additional funding will go to support non-profit organizations within the district, many from various ethnic and cultural demographics. The influx of funding to this district will have a direct impact on everyone, in some way, that lives in the communities of District 19. In the FY15 budget passed by the City Council on Wednesday, June 25th, one of the new initiatives being funded was born from the spirit of Council Member Vallone’s initiative to restore the Peter F. Vallone Scholarship. Slashed from the budget by former Speaker Christine Quinn in 2011, the Peter F. Vallone scholarship provided thousands of CUNY students with financial relief. The restored scholarship program once again provides that critical assistance to our students. The City Council CUNY Merit Based Scholarship is being funded at $11.1 million which will allow for roughly 13,500 students who maintain a B average or above to receive about $400 per semester towards their CUNY education. For many students and their families, this scholarship will provide necessary financial relief to alleviate the burden of paying for tuition, text books and other costs that a college education incurs. After years of issues with garbage, dead wildlife and a lack of maintenance in Bowne Park, the green space in Flushing is set to receive a $2.45 million facelift. Councilman Paul Vallone, whose district oversees the park, allocated $1.45 million in discretionary funds to upgrade the water fountains and filtration system in the pond of the nearly 12-acre park. Residents complained in the past of the grimy pond, in which dead turtles reportedly have been found. The funds will also go to restore the asphalt pathways and lawn areas. Borough President Melinda Katz will allocate an additional $1 million from her budget to the park to upgrade the playground, installing new play equipment with safety surfaces and benches. Standing at a press conference with Queens Library Representatives, School Principals and Community Leaders, Council Member Paul Vallone announced a $1,000,000 funding allocation for the Bay Terrace Library to revamp it with a full interior renovation and modernization. Community leaders hailed the project, citing the dire need for upgrading this highly popular library. The residents of Northeast Queens have been diligently working with Council Member Vallone’s office to decide how $1,000,000 of discretionary funds will be spent within the community. Participatory budgeting, which can now be found in 24 of 51 New York City Council Districts is a great opportunity for all residents as young as 16, especially those new to civic life, to suggest and vote on how a portion of the City’s budget is allocated. Anybody who is interested can suggest capital projects that cost between $35,000 and $1,000,000, such as school and park upgrades, library enhancements and beautification projects. Voting is held over the course of a week in April 2015. The first step in the participatory budgeting process is to host brainstorming sessions at neighborhood assemblies. At these assemblies, ideas are proposed and then “budget delegates” are designated to champion the ideas to ensure they are fully developed and do outreach so the community is aware of what they will be voting on. The first three neighborhood assemblies hosted by Council Member Vallone’s office have been tremendously successful as hundreds of residents have participated. Nearly every civic organization in the Council Member’s district has been given a presentation on participatory budgeting by the Council Member’s staff and the three past assemblies were strategically placed in areas throughout the district easily accessible by public transportation. Some of the project ideas suggested so far include beautification by placing planters, lamp posts, trash bins and old fashion clocks, creating adult exercise stations at major local parks, bike path resurfacing along Joe Michael’s Mile, building special needs playground equipment, funding security cameras for the NYPD, curb reconstruction for flooding prone areas and technological improvements for many schools that require them. Budget delegates will review community needs and ideas from across the district, develop project proposals with help from city experts and decide which projects are placed on the ballot for voting in April. Most projects usually range from $50,000 to $350,000. “It was great meeting with Captain Thomas Conforti, the new commanding officer for the 109th Precinct. I trust that he will do an excellent job and I look forward to working with him to ensure the safety of my constituents” – Council Member Paul Vallone. There are few better ways to spend a Saturday Afternoon than by sharing it with family and friends at a Family Fun Day here in Whitestone! Thank you to the 109th Precinct Community Council, the newly named “We Love Whitestone” Civic Association and everyone who worked hard to make this event a resounding success! I was happy to present Halloween candy donations to the 111th Precinct Community Council at Tuesday evening’s meeting. Hope you and your families had a happy and safe Halloween! Council Member Vallone was proud to honor officers of the NYPD, FDNY and EMS at the Bayside – Whitestone Lions Club’s annual First Responders Night. The Council Member, who founded the club, presented awards to the first responders and thanked them for their service. I had a great time attending the National Night out Against Crime at both the 109th and 111th Precincts . Thank you to the precincts, officers, community councils and volunteers who help make this a wonderful event every year! There are no words to describe the deplorable act of violence that took place on Saturday afternoon in Bedford-Stuyvesant. It cannot be condoned or rationalized but must be treated for what it was: a cold hearted assassination of two of our city’s finest. Officer Rafael Ramos and Officer Wenjian Liu paid the ultimate sacrifice, and their bravery and courage will not be forgotten. Let us pray, especially during this holiday season, for the families of Officer Ramos and Officer Liu and keep their honor in our hearts. At a press conference held at his district office, Council Member Vallone announced the Educational Ambassador Program for high school students within the 19th Council District. Following a recent visit to the World Journalism Preparatory School and witnessing the professionalism and ambition of the students in the ambassador program there, Council Member Vallone decided to use their model to create an expanded program through his City Council office. This program provides an excellent opportunity for the students involved to experience the different aspects of a City Council office’s responsibilities. Thank you to the administrators, teachers, parents and students of P.S. 130 for welcoming me to their legislative breakfast! I had a great time meeting everyone! I had an absolutely wonderful time at P.S. 31 this morning with Assemblymember Nily Rozic. The drama students and singers put on great performances for us and I was truly impressed with their talent! Thank you so much to everyone at the school that made this possible, and a special thank you to Principal Terri Graybow and Assistant Principal Tony Kossovitsas for hosting us! Council Member Vallone visited the Alley Pond Environmental Center for a tour of their facilities and to see their educational programs in action. He met with the staff and met some of the students who attend workshops at APEC in order to learn about wildlife and environmental activism. APEC is one of the true jewels of Council Member Vallone’s district and he encourages everyone to visit them. I visited M.S. 158 with Assembywoman Nily Rozic and Department of Youth & Community Development Commissioner Bill Chong to get a first hand look at the Beacon Program the school provides. We discussed the possibility of expanding this wonderful program to other middle schools in the city. Thank you to the parents and administration for sharing their experiences with this program and how it positively affects their family. What a wonderful morning at P.S. 193’s Career Day in Whitestone! I had a great time meeting the staff and talking to the students about the job of a NYC Council Member. Thank you to Principal Joyce Bush for having me! Thank you to Principal Ms. Debra Buszko and the wonderful children of P.S. 21 for a great morning! I was honored to give my good friend, Angelo Coniglio, a City Council citation for his community service. I am truly impressed by Angelo’s strong sense of commitment to his community at such a young age. With young men like him, the future of our community looks bright! Congratulations to P.S. 209 graduates Brianna Teta and Angie Delgado for receiving the NYC Council Paul A. Vallone Award. The future is bright for these two stars! Nothing better than starting a day off with a school visit. I had a great time meeting the teachers and students of JHS 185 in Flushing. Thank you to Principal Theresa Mshar for the wonderful tour. As the largest middle school in my district, I know that it will continue to shine with Principal Mshar’s leadership! On Monday morning I had the pleasure of surprising Maggie McQuillan with a City Council Citation recognizing her as the Outstanding Student of the Year! At her school, P.S. 41, she worked diligently as a reporter for the school newspaper. She was even selected to give a speech at her graduation! I wish her all the best in her future endeavors! I’m proud to be able to support the Queens Theater’s English Language Learners Program (QTELL) at P.S. 29. Thank you to Taryn Sacramone, Richard Hinojosa and Principal Jill Leakey for showing me their unique program in action today. Council Member Paul Vallone attended MS 67’s Student Organization Candidates Assembly as he was invited to speak to 6th, 7th and 8th grade students running for their class elections. The Council Member applauded them for participating and expressing an interest in government at a young age. “It is inspiring to see these outstanding young candidates discuss their vision for MS 67. Watching these passionate students on stage reminds me of myself when I was their age. We need more young people to become involved in government,” Council Member Vallone said. Council Member Paul Vallone proudly announced the expansion of CASA (Cultural After School Adventures) programs at schools throughout Northeast Queens. CASA funding increases after-school programs that are in partnership with cultural programs and institutions to provide arts enrichment. Citywide funding went from $5 million in previous fiscal years to $7.1 million this fiscal year to increase CASA programming from five to seven programs per council district. Vallone stood with District 25 Superintendent Danielle DiMango, Principal Anna Dimilta, representatives from nonprofit cultural organizations, and students at P.S. 184Q in Whitestone to announce the expansion. “During our first year in office, I am delighted to announce more schools will be granted partnerships with our city’s best cultural organizations. CASA funding allows students to participate in cultural programming outside the classroom. I thank all the organizations for coming today and for working with our local schools so we can help enrich our children’s minds,” Council Member Vallone said. Council Member Paul Vallone chaired the year’s first hearing of the Subcommittee on Senior Centers. The hearing focused on discussing the current availability of culturally relevant meals for seniors supported by DFTA and exploring possibilities for expanding these meal services; both for senior center congregate meals and home delivered meals. One of the main obstacles discussed in providing culturally sensitive meals is the cost. DFTA currently reimburses providers a standard $7.35 per home-delivered meal. However, due to the specific requirements in preparing culturally sensitive foods such as Kosher meals, the actual cost is often times more expensive and the providers are expected to absorb the additional cost. Council Member Vallone also noted that the Department for the Aging’s RFP process, which in one year centralized the system from ninety providers to just twenty, may be limiting providers who can provide cultural and ethnic meals from obtaining contracts. The groups present overwhelmingly supported the need to increase reimbursement for costs of meals, especially for culturally sensitive meals, in order to provide expanded nutritional options for seniors. Extending meal service back to a full six days from five was also met with support. At a stated meeting of the City Council, Council Member Vallone introduced a bill co-sponsored by Council Member Margaret Chin that would call for the creation of a Senior Task Force. This task force would develop and recommend changes to the laws, rules, regulations and policies related to the Adult Protective Services (APS) program at the department of social services/human resources administration, and specifically in regard to case management and legal services for the senior community in New York City. The senior task force would be responsible for issuing a report to the Mayor and the Speaker of the Council within six months of the formation of the senior task force, and every six months thereafter, detailing their activities and recommendations. Council Member Vallone’s legislation would require the Department of Transportation to conduct a study of compliance of the rules of the City of New York by truck drivers related to truck routes, and rank the ten blocks within each community district where the largest number of trucks illegally disregard required truck route destinations. At such the department shall post a sign or ensure such a sign remains, stating “No Trucks Except Local Deliveries.” The Department would also be required to post the locations of these signs on their website. At a Stated Hearing of the City Council, Council Members Paul Vallone (D-Bayside) and Rory I. Lancman (D-Fresh Meadows) jointly introduced legislation amending the City’s Human Rights Law to protect police officers in the K-9 unit from housing and public accommodations discrimination. 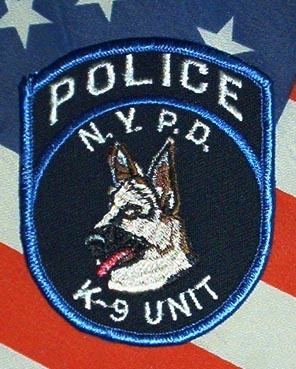 Currently, New York City police officers in the K-9 unit are required to live with their police dogs and are expected to accompany them at all times. However, some landlords and property owners discriminate against New York City police officers who are accompanied by their police work dogs by considering the dogs pets rather than working animals. The bill, Intro. 494, will protect police officers in the K-9 unit from such housing and public accommodations discrimination. The bill was introduced at the request of Officer Matthew Wicelinski, a member of the K-9 unit living in northeast Queens.Members of Officer Wicelinski’s co-op board denied his request because police service dogs are not covered under the Americans with Disabilities Act guidelines. However, under Intro. 494, officers will be offered the opportunity to house these fully trained, state certified working dogs with the same rights as any other service animal. Council Member Vallone introduced a bill that would mandate full service animal shelters to be built in Queens and the Bronx. In 2000, the City Council led by then Speaker Peter Vallone passed a law which required the City to establish full service animal shelters in all five boroughs, particularly Queens and the Bronx who, to this day, lack these shelters. Local Law 59, passed in 2011, eliminated the legal requirement to build these shelters in Queens and the Bronx, leaving them only with “receiving centers” which do not provide many of the services that full service shelters do. In March of last year, Council Member Vallone sent a letter signed by nearly every Council Member in the Bronx and Queens Delegation to Mayor de Blasio requesting that funding be allocated in the FY15 budget for these full service shelter to be built, but unfortunately the money was never allocated. Estimates indicate that it would cost about $40 million to construct the two shelters, and operating costs each year would total $7.5 million. Photo credit: New York Daily News. Council Member Vallone introduced legislation aimed at regulating the private use of unmanned aerial vehicles (UAVs) in New York City. The technology for UAVs, also known as drones, has rapidly advanced in the last few years allowing UAVs to be widely available and increasingly affordable for the average person, resulting in the rampant proliferation of drones in the city’s airspace. This unchecked growth has spurred significant security and privacy concerns, as well as resulted in many “close call” incidents with commercial and city air traffic. Council Member Vallone’s bill, sponsored by 24 additional Council Members, will create violations and misdemeanors for unmanned aerial vehicles that are flown in the prohibited areas defined by his legislation as well as state and federal law. It would also place restrictions on the times, locations and altitudes at which UAVs may be operated and prohibit the use of UAVs for conducting surveillance or that are equipped with weapons or dangerous instruments. This bill however, would not affect the operation of UAVs by City Agencies. The City Council passed a piece of legislation aimed at creating oversight for social adult day care centers. Unlike typical senior centers, social adult day care centers are specifically meant to provide services to seniors suffering from chronic conditions that require close supervision and specialized care, such as dementia or Alzheimer’s. There are strict State regulations which these centers must follow, however a lack of enforcement by the State in New York City has allowed privately run social adult day care centers to open and operate without any oversight. Sadly, this serious lack of oversight has put seniors, a large and vulnerable population of our city, at risk and has allowed some private centers to unjustly rake in profits through Medicaid. This legislation will require all social adult day care centers operating in New York City to register with the Department for the Aging (DFTA), and mandates that these centers adhere to State regulations. Additionally, the legislation also allows DFTA to issue fines against centers that either fail to register or do not follow State regulations. Lastly, the legislation will create a DFTA ombudsman who will be tasked with taking complaints regarding the lack of compliance with these requirements. This legislation will go a long way towards regulating social adult day care centers and ensuring that our city’s seniors are protected from those who would seek to take advantage of them. Nearly twenty civic and community group presidents crowded the conference room at Council Member Vallone’s district office for the first of many roundtable meetings the Council Member plans on hosting. The meeting was primarily introductory and provided a forum for all the presidents to meet each other and briefly discuss the issues affecting their respective associations and communities. Among the issues discussed were; Department of Traffic concerns regarding truck and bus traffic, and road maintenance, upcoming and ongoing capital initiatives, participatory budgeting, small business concerns and property tax increase concerns. At a press conference on College Point Boulevard, Council Member Vallone announced that he has secured nearly $70,000 through the NYC Cleanup Initiative to clean and maintain large sections of College Point Boulevard and Bell Boulevard in Bayside. The funds will be used to pay a dedicated staff of four workers from the Doe Fund to sweep streets, empty litter baskets, replace basket liners and power wash sidewalks on College Point Boulevard between 14th Avenue to 23rd Avenue and Bell Boulevard between 45th Drive and 35th Avenue, three days per week. This program, which will run from October 1st through June 2015, targets areas that have received many cleanliness complaints in an effort to beautify and maintain these important commercial strips. “Clean sidewalks and litter free streets are a big part of our quality of life,” said Council Member Vallone. “The money allocated for the Doe Fund will go a long way to beautifying and maintaining College Point Boulevard and Bell Boulevard, two of the most important and widely used commercial strips in my district. CM Vallone Wins Friendly Wager Against CM Vacca! In the spirit of competition, Council Member Vallone and Council Member Vacca made a friendly wager on a Borough Cup Game. The Whitestone Renegades faced off against Bronxchester and the winning team’s Council Member would have to treat the other to a delicacy from their district. Council Member Vallone put a Cherry Valley TCS Sandwich and Pesso’s Italian Ice on the line, while Council Member Vacca offered up a box of homemade Italian pastries from the Bronx’s Little Italy on Arthur Avenue. In the end, the Whitestone Renegades beat Bronxchester 4-3 making Council Member Vallone the victor! “It’s too bad Bronxchester lost, but either way, I’m happy to give Paul some real Italian baked goods that he can’t get in Queens. At the end of the day, I had to put my money where his mouth is.” – Council Member James Vacca. Congratulations to the five winners of Welcome to Whitestone’s “Whitestone Bridge Drawing Contest”. Our five winners did an excellent job on their drawings and I was happy to present them with City Council Citations for their achievements! Thank you to Director of Bridges East Raymond Webb for being one of the judges, and thank you to Devon O’Connor for organizing this great contest! Council Member Vallone, with Council Member Daniel Dromm, unveiled the Jeanne, Jules, Morty Manford PFLAG Way on 171st street and 35th Avenue in Flushing! What better example of parents for their child than Jeanne and Jules Manford! Council Member Paul Vallone hosted a street co-naming ceremony in honor of Salman Hamdani, an NYPD cadet and EMT who lost his life on September 11th 2001. Hamdani was on his way to work when he saw the World Trade Center covered in smoke. His heroic actions saved many lives before he lost his own. Council Member Vallone announced 204th Street (at 35th Avenue) in Bayside, Queens as Salman Hamdani Way. “It is an honor to stand here today and honor Salman Hamdani with this street co-naming. Bayside was Salman’s home and now his community will always remember his bravery and legacy as a Muslim American patriot. I am humbled to join his mother, Talat Hamdani, and the rest of Salman’s family to pay tribute to a true hero,” Council Member Vallone said. Council Member Paul Vallone hosted a street co-naming ceremony in honor of Mrs. Geraldine Cilmi, a beloved science teacher at Public School 41, Bayside, Queens, who lost her life after battling cancer. Mrs. Cilmi devoted most of her life to educating children not only about science but also community service. Council Member Vallone announced 214th Lane in Bayside, Queens as Mrs. Geri Cilmi Place P.S. 41. “I am honored to stand here today with Geri’s husband, colleagues, and students of past and present to pay tribute to a teacher who impacted lives of so many. Mrs. Cilmi’s life was dedicated to teaching and showing her students that science was beyond the classroom. To co-name the street in front of the school where she spent over a decade is a fitting tribute to her career and tells the community Mrs. Cilmi will forever be in our hearts,” Council Member Vallone said. Council Member Paul Vallone hosted a street co-naming ceremony in honor of Benjamin Fried, a beloved, lifelong community activist and small business owner, who passed away last year at age 98. Mr. Fried dedicated much of his life advocating for Bayside, the neighborhood he called home. From establishing events such as the Annual Children’s Holiday Parade to fighting against the closure of Firehouse 306, Mr. Fried always put his heart into community service. After learning that the Department of Homeless Services (DHS) had been considering the viability of sites in Bayside for a potential emergency shelter, Council Member Vallone wrote a letter to the DHS voicing his opposition to this plan. This week the DHS responded to his letter and confirmed that they no longer have any plans for an emergency shelter in Bayside. This past summer, the School Construction Authority’s (SCA) plans for a high school at the Whitestone Jewels site was met with strong opposition from the surrounding community. Council Member Paul Vallone, with the support of neighbors and groups such as the Greater Whitestone Taxpayers Civic Association, led a protest rally to voice opposition to this plan. Petitions were circulated and in the end, Council Member Vallone hand delivered over five hundred signatures from residents to the School Construction Authority’s President, Lorraine Grillo. On Thursday, April 17th, at a briefing for the Queens Delegation, Lorraine Grillo finally confirmed that the School Construction Authority is officially no longer pursuing the Whitestone Jewels site for a possible high school. She cited the very concerns that the residents voiced all summer as reasons for abandoning these plans; a lack of local infrastructure and transportation to support a high school, strong concerns about the negative effects the school would have on their quality of life, and objections from Council Member Paul Vallone. Looking Forward to Clean Streets! Northeast Queens has just taken a huge step towards cleaner streets. Through a $22,500 allocation to the City of New York Department of Sanitation (DSNY), Council Member Vallone (D-Bayside) has provided 45 new waste and recycling bins to District 19. These bins have been distributed throughout District 19 along already existing DSNY routes; 10 placed in Whitestone, 10 in Bayside, 10 in College Point and 5 in each Little Neck & Douglaston. If there was any event this week that truly embodied the spirit of Christmas, it was this one! With the help of the Auburndale Soccer Club, the Dwarf-Giraffe Athletic League and my student ambassadors, we were able to collect almost 300 unwrapped toys for our toy drive for St. Mary’s Healthcare System for Children. Thank you to everyone who donated a toy and helped out! Our combined efforts truly helped make this a very special holiday for all of the wonderful kids at St. Mary’s! I would also like to personally thank my student ambassadors Joseph Lombardi, Nabil Tavarez, Harvind Japra, Ruchi Vaidya, Raj Vaidya, Brenda Ruiz, Sydney Boodoo and Michael Ribbeck for their hard work and dedication to this toy drive. They came up with the idea for a toy drive all on their own and were involved along every step of the way! At a Ceremony preceding the City Council’s stated hearing, Council Member Vallone presented a proclamation to honor Mario and Linda Rossi who, after losing their 26 year old daughter to suicide, established Chrissy’s Wish Memorial Fund. Chrissy’s Wish is a nonprofit organization that is dedicated to directly funding research on a myriad of disorders that include, but are not limited to, depression, bipolar disorder, anorexia nervosa, and suicide. While pouring over her daughter’s belongings, Linda Rossi found hundreds of articles that Chrissy had clipped, marked and highlighted about mental illness. Mrs. Rossi realized that her daughter’s wish, beyond everything, had been to find peace of mind and a cure for her mental illness. Mr. & Mrs. Rossi started Chrissy’s Wish Memorial Fund with this realization in mind, to continue, and hopefully one day complete what their daughter had started. Over the last eight years, Chrissy’s Wish has raised more than $430,000, of which one hundred percent of every dollar goes directly for mental health research through the Brain & Behavior Research Foundation. Council Member Vallone Marches in St. Patrick’s Day Parade! Whitestone & Little Neck and Douglaston Memorial Day Parades! Council Member Paul Vallone and Congresswoman Grace Meng were appointed by Sung K. Min, president of the Korean American Association of Greater New York (KAAGNY), to serve as co-chairs of its Community Advisory Committee. Co-chairs Vallone and Meng will work with KAAGNY to further expand the cultural and economic contributions of the Korean community throughout the city of New York and beyond by increasing the voice and power of Korean Americans through unity and bridging cultural barriers. The Korean American Association of Greater New York is the main representative body for over five hundred thousand Korean American residents. KAAGNY also acts as an umbrella organization for over two hundred regional, professional, educational, religious and trade organizations. ​Council Member Paul Vallone hosted the Columbus Day Celebration of Italian Heritage with Speaker Melissa Mark-Viverito and Council Member Vincent Gentile at City Hall. Nearly three hundred friends, families, guests and dignitaries joined in a celebration that filled City Hall’s Council Chambers. Vallone was proud to present proclamations to Bishop Nicholas DiMarzio of the Roman Catholic Diocese of Brooklyn and Queens as well as Professor Joseph V. Scelsa, founder and president of the Italian American Museum. Both honorees are distinguished figures of the Italian American community, devoting their efforts to educating the American public about Italian heritage. The audience was privileged to hear renditions of the National Anthems of the United States and Italy by renowned tenor Teo Ricciardella as well as a touching performance of “God Bless America” by the Council Member’s daughter, Catena. Guests were also treated to an original dancing performance from Whitetone’s very own Landrum School of Dance. “The Columbus Day Celebration of Italian Heritage at City Hall was a true testament of what the Italian American community is all about – family, faith, pride in our country and always celebrating our heritage. It was truly an amazing night for all, and I am blessed by the great turnout from my family, friends and guests. I am also grateful for the support from my co-sponsors, our Speaker, Melissa Mark-Viverito and Council Member Vincent Gentile,” said Council Member Vallone. Our office hosted an Owners Forum with NYC Department of Housing Preservation & Development (HPD). Thank you to the representatives from various city agencies for providing resources for homeowners all over my district and for answering all of their questions. We hope to hold another open forum soon! I was proud to sponsor Family Fun Day in Crocheron Park with Friends of Fort Totten Parks and the NYC Department of Parks & Recreation. Thank you to everyone who contributed to make this a great event and I hope everyone had a great time! What a perfect autumn day for a Halloween Festival at Crocheron Park! I hope everyone who came had a great time! Thank you to the NYC Department of Parks & Recreation, the NYPD, Friends of Fort Totten Park and everyone who helped make today’s festival an incredible success! On December 7th, we held the amazing revival of the Children’s Holiday Parade that truly symbolized the spirit of every community, faith, holiday and beauty of this most wonderful time of the year. One thousand people celebrated, marched, danced and sang as we were led by the NYPD marching band and were followed by the FDNY driving with Santa held high for all to welcome. A personal thank you to every marcher, organization, school, performer and family that braved the cold and a special thank you to our co-sponsor, the Bayside Village BID and their amazing leaders, Dominick Bruccoleri and Lyle Sclair. A final thank you to the 111th Precinct and the dedicated officers of the 111th and NYPD auxiliary officers that helped make this event such a success. I know Benjamin Fried, father of 111th Precinct Community Council President Jack Fried, was smiling down on us as we revived the parade he started so many years ago. To see the smiles on every child’s face, the embrace of family members as we walked together and shared a hot chocolate in the cold, watching the great performers and the joining of song as we welcomed Santa and the Holidays will always be carried in my heart. Feel free to take a look at all of our photos in our Facebook album. Our community once again came together to stand with our Police Department during the 109th and 111th Precincts’ vigils for their fallen brothers. Public safety has always been the cornerstone of our communities here in Northeast Queens and has been the guiding principle for myself and our family over the past decades. As for our collective New Year’s Eve wish, let the unity we share here in our community flow to help heal and unite the rest of the City. As we welcome in another New Year, may all of us share in a healthy, happy and blessed New Year for everyone! Thanks for reading! As always, if you have any questions or concerns, do not hesitate to contact my office.